FREE TREASURE CHEST IS BACK! The Free Treasure Chest Network is now live again, with some amazing changes! All of the sites are phone and tablet ready, and that's not all! There is coming a full set of videos throughout the site, to guide your referrals through the entire peocess, from Registration to completing offers to placing orders. These instructional videos are in production NOW, and should be completed and installed on the sites by January 1st. The sites are completely useable NOW, and are open to everyone. If you were a previous member of Free Treasure Chest, you can sign up and put in support tickets on each of the sites you would like, requesting free greens. EARN CASH BONUSES ON EVERY ORDER! 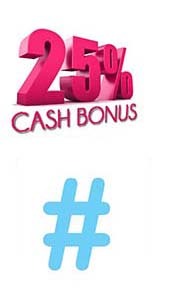 TWEET PROOF PICS & WIN MORE CASH! LFK Products is an advertising publisher that has been in business since January 2009, and has since paid out millions of dollars to thousands of people just like you!